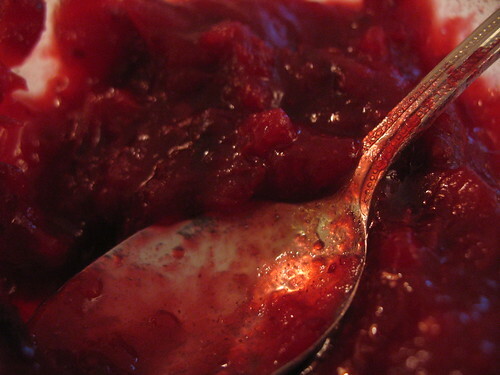 Homemade Cranberry Sauce, originally uploaded by nataliej. 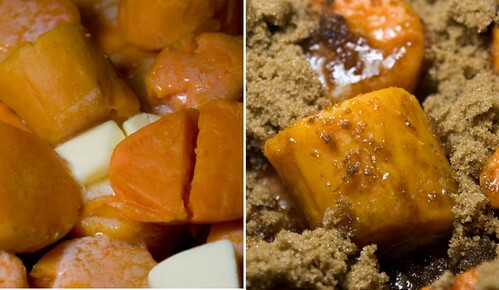 candied yam, originally uploaded by awungfoo. Turkey stock #2, originally uploaded by StephieP33. 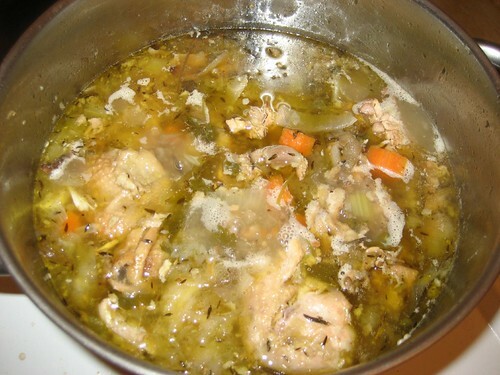 Place all ingredients into a stockpot and fill with cold water. Slowly bring to a boil and reduce heat to simmer. Roast the chestnuts in a 400F degree oven for 30 min or until they open and begin to brown. The wine will burn on the pan this is normal. I find that it takes many chestnuts to get to the amount you need because some of them are either dry or they are of poor quality when you are peeling them, so by extra. The chestnuts when roasted are creamy and have a nutty flavor, discard any moldy chestnuts. 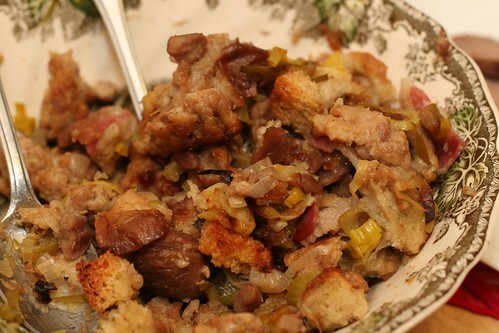 chestnut and sausage stuffing, originally uploaded by 46137. • You may also add Apples, walnuts, etc.